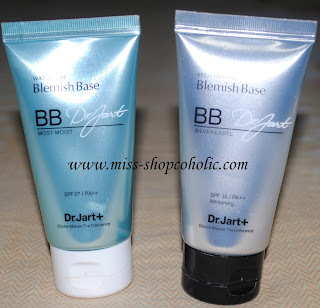 As you all know if you read my previous post, my holy grail BB cream is Dr. Jart Silver Label Rejuvenating BB cream. I've tried a lot of BB creams in the past from Skinfood, Missha, Purederm, and Skin79 but this is the only one that I can say I can't live without coz I have already finished 3 tubes of this. I don't use foundation on a daily basis, just BB cream, concealer and powder. I got this Water Fuse BB cream when I asked my brother in law from Hongkong to buy me a back up of the Silver label, but he got confused and bought this instead! Ahh... guys! LOL But nevertheless, I'm happy I got to try this. The Silver Label retails for HK$212 (about Php 1,166) while the Water Fuse for HK$236 (about 1,300). Dr. Jart+ Water Fuse Blemish Base provides sun protection from UV rays to skin. The SPF 27 / PA++ product is gentle. It enhances skin’s natural radiant glow while covering blemishes for a clean, natural finish. Water Holding System that uses highly absorbing sea water, portulaca oleracea extract and hyaluronic acid helps maintain healthy moisture level to leave a dewy, flawless look without glossiness. Porous powder controls sebum production while protecting skin from hazardous environmental factors. Dr. Jart+ SILVER LABEL Rejuvenating Blemish Base SPF 35 PA++ is formulated by a unique professional formula, which contains active ingredients aiming at covering imperfections, concealing imperfections, and activating skin rejuvenation. It soothes red and irritated skin while providing moisture to skin. 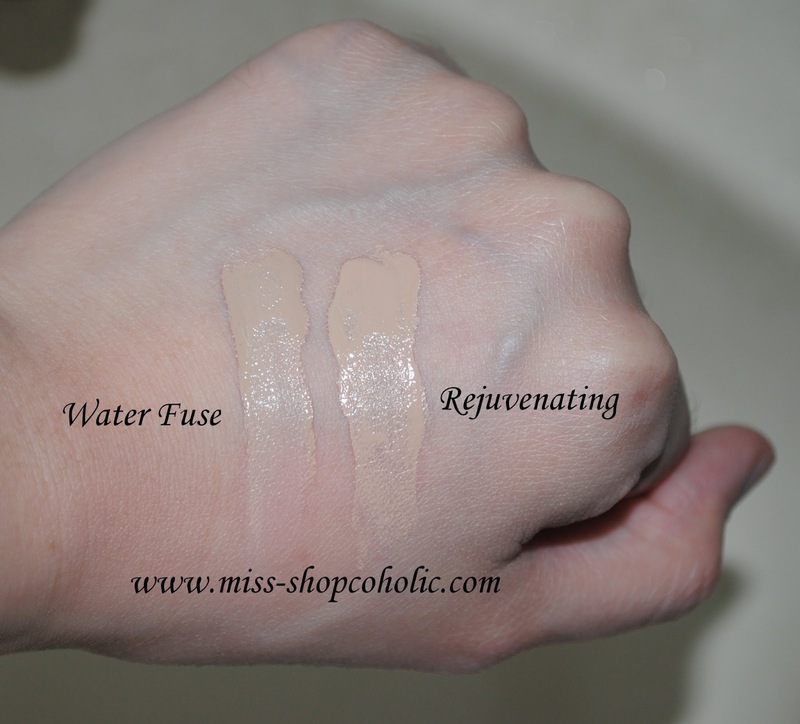 As you can see, Water Fuse is a tad darker than the Rejuvenating BB. 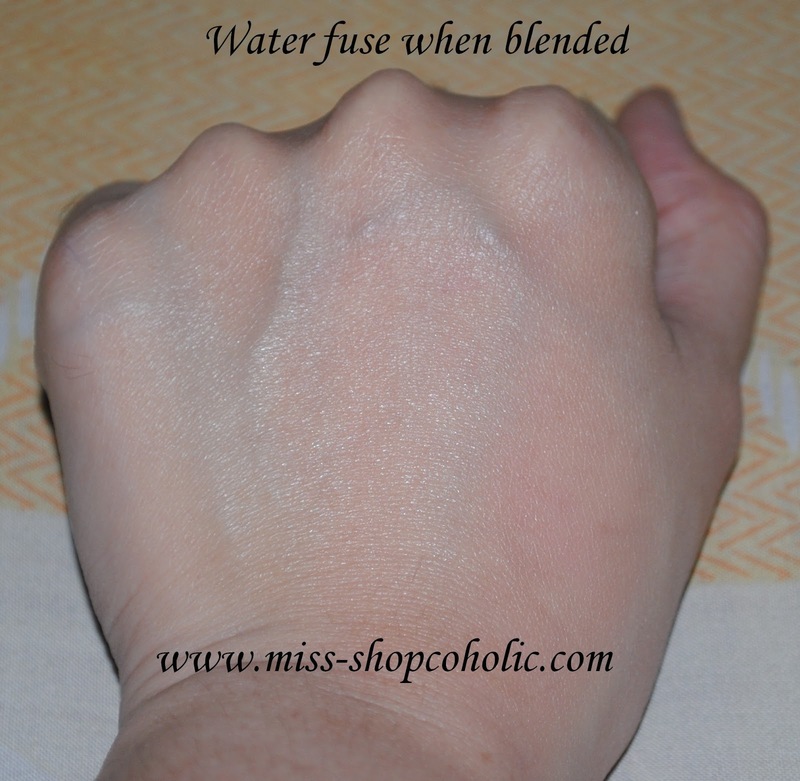 Water fuse has a beige undertone while Rejuvenating is yellow toned. 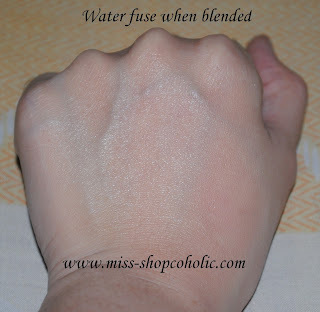 The Water Fuse BB cream has a watery texture and coverage is just light. Doesn't cover pores, pimples etc. Since this is a moisturising BB cream meaning this is good for normal to dry skintypes and offers a dewy finish. Honestly, I find it too sheer, doesn't really do much for me and the oil control is poor. I also noticed that after 4 hours or so when I sweat, I can see the BB cream sliding on some areas of my face (even with primer underneath). Fyi, I have normal skintype with slightly oily t-zone. What I do sometimes so that this product won't go to waste, I mix 50-50 of the BB creams if I want a medium coverage. The Rejuvenating Silver Label BB cream on the other hand has a thick consistency and offers full coverage. See how well it covered my veins?! I like this better compared to other full coverage foundations I've tried (yeah you read it right "foundations"). 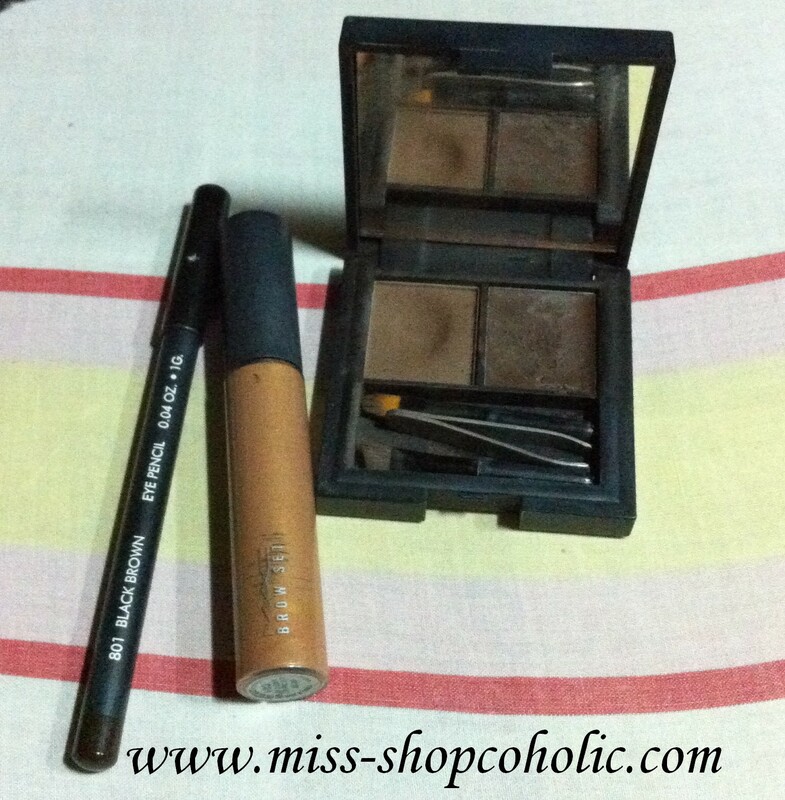 It feels so lightweight despite the high spf 35. I've been using this BB cream for more almost 5 years already! Oil control is good and staying power is awesome! This BB cream stays put until you take it off, but make sure to remove it properly before you go to bed. So which Dr. Jart BB cream is suited for you? I think it depends on the coverage you're looking for and your skintype. 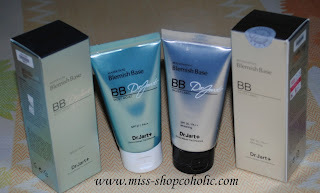 For a full review on all Dr. Jart BB creams you might want to read Project vanity's review HERE. I love DR Jart as per your recommendation sis khymm! It does cover my blemishes without it being so heavy on my face. It also doesn't break me out like the others and right now I can say my skin is really super oily due to the extra humid summer season. I still got a bit of pimple here & there while using it but I think that's because of my hormones (Aunt Flow's monthly visit). 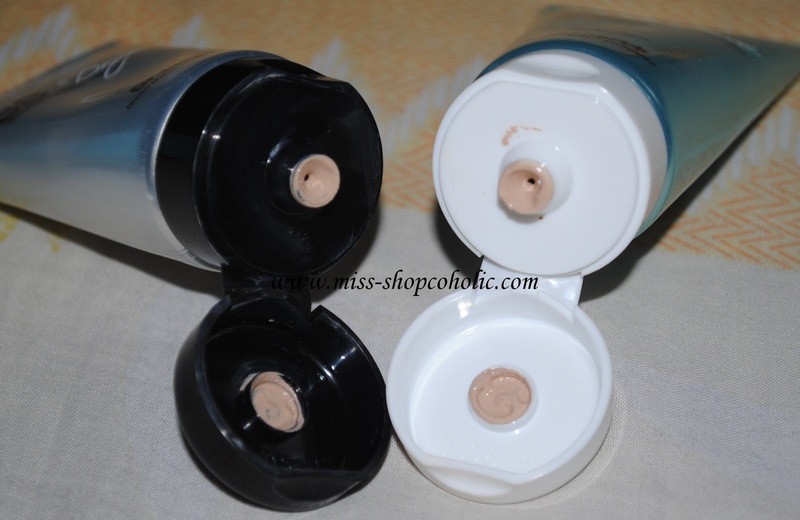 I have a question though, the new 2012 Dr Jart BB creams got new packaging? It's in black na and rectangular tube shaped and I've also read that some of the ingredients have been changed. Have you tried the new ones yet? @ChenMeiXi - Haven't tried the new ones yet. Yeah saw the new packaging its all black na with silver labels on the side. Hopefully the reformulated ones doesn't break me out. I still have one unused tube left of the original packaging, dapat mag hoard na ta daan. That's what I'm worried about :( So how long does a tube last ba with everyday usage?